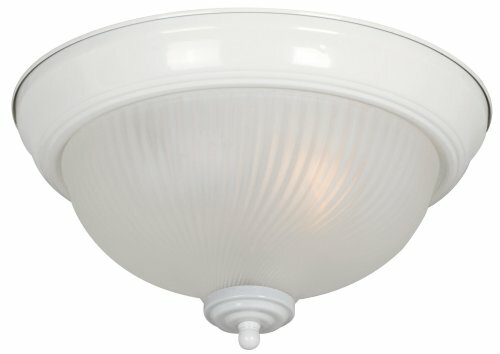 CEILING LIGHT - White finish. With frosted swirl glass. Uses 60W A19 medium bulb. Bulb not included.